As the days counted down to departure, I couldn’t help but laugh. 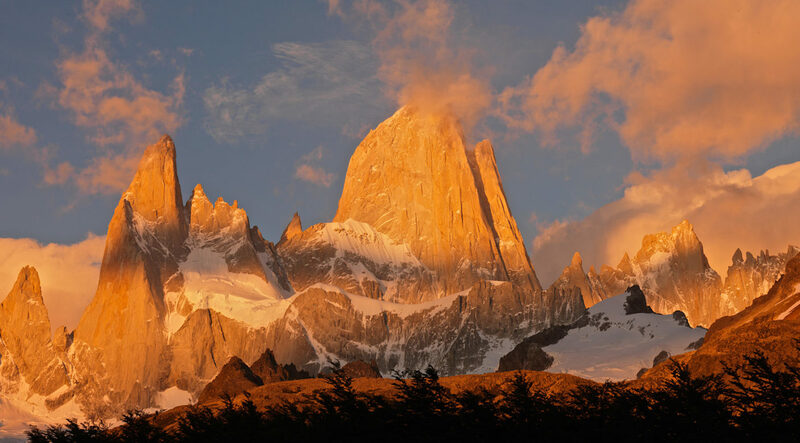 Max’s normal organized nature, the mechanical engineer in him, had been affected by the chaotic nature in me, the eccentric literature major, turned mountain guide. There are two types of travelers/packers. The ones who make lists, pack a week in advance, weigh their bags to the exact weight limit, choose one shirt over the other (not both), have their itineraries printed, and show up to the airport two hours in advance. The other is me! I’m one of the types who pack the night before and is up until 2am doing laundry, packing, repacking, battling with zippers to squeeze in that cute extra shirt, town shoes, and skirt — just in case. I am chronically over-limit, desperately smiling at the check-in agent hoping not to pay a fortune. It’s my bag exploding on the scale; underpants, sports bras flying, until the airline agent is sufficiently embarrassed, or annoyed, and says, “don’t worry about it, that’s good enough.” That’s me up at the wrong ticket desk because I didn’t bring the flight info, or arrived just in time before the check-in closes. As I dropped Max off at the airport for a trip to Pakistan, I saw that look on his face, the one of relief. He checked his bags, had his boarding pass, and whatever he had forgotten didn’t matter anymore. I knew he would sleep on the plane. After our final goodbyes, I turned to walk back to the car and pay my parking. The woman paying her parking in front of me saw my teary eyes, and red cheeks. She looked at me kindly and said, “Ahhh, le depart. Mais avec le depart, c’est la retour.” I smiled a little. On the drive back to Chamonix from Geneva, my mind spun … imagining getting off the airplane in Islamabad, walking through the gates and entering another world — the colors, the sounds, the smells, the culture. All the images and memories from my ski mountaineering trip last spring came rushing back, and I wished it was me getting on that airplane. As August 27th rolls around, it marks a monumental goal in my life. It marks the first time in 10 years that I have spent more than three consecutive months in the same place! YIKES. As I drive closer and closer to Chamonix, the mountains begin to rise higher and higher, plastered in a new coat of snow, and in the folds of each ridge is an adventure yet to be had. I think about all that surrounds me here, all the potential, and wonder why I can’t be just as present in my own backyard as in Islamabad. “Minute papillion,” I can hear Max saying to me, “slow down butterfly.” So I take a deep breath as I turn the car off in my driveway and relish being home. 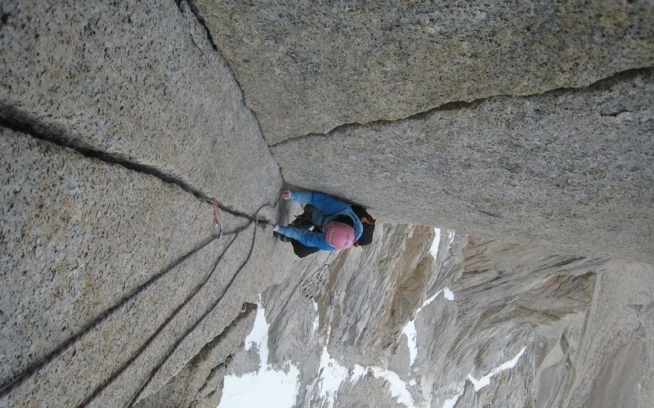 I brew up a cup of coffee, pack my bag for the day’s work tomorrow on the Arête des Cosmiques, and I think of the adventures in my backyard. I think of my project for the now, building my home and playing in my backyard, and it doesn’t seem that bad. It is Chamonix after all. 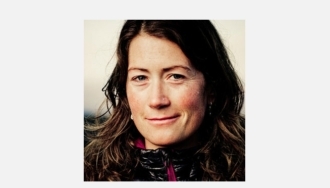 Zoe Hart is a Patagonia ambassador and the fourth American woman to earn her International Federation of Mountain Guides Associations status. 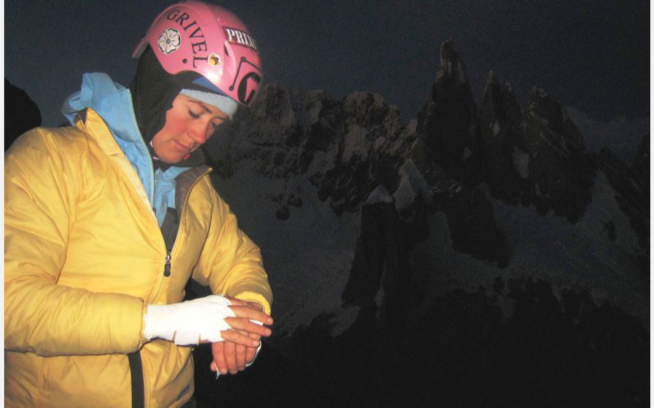 When she’s not guiding or climbing in her backyard, Chamonix, France, Zoe’s on international expeditions or climbing trips throughout North America.